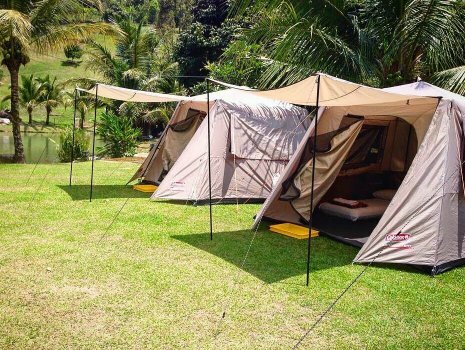 We understand not everyone jumps at the idea of pitching a tent or dealing with mosquito bites. 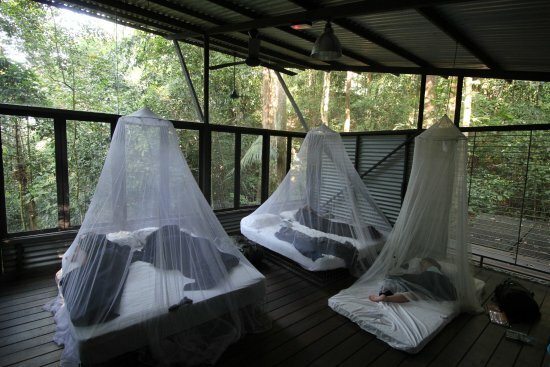 Surround yourself with the sights and sounds of the jungle and live in 'tendoks' (half tent half pondok). 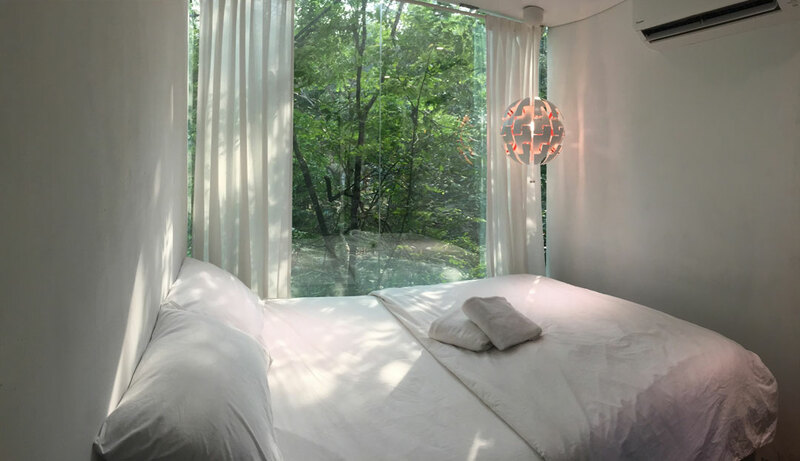 The Sticks is an off-the-grid escapade perfect for resting weary minds. 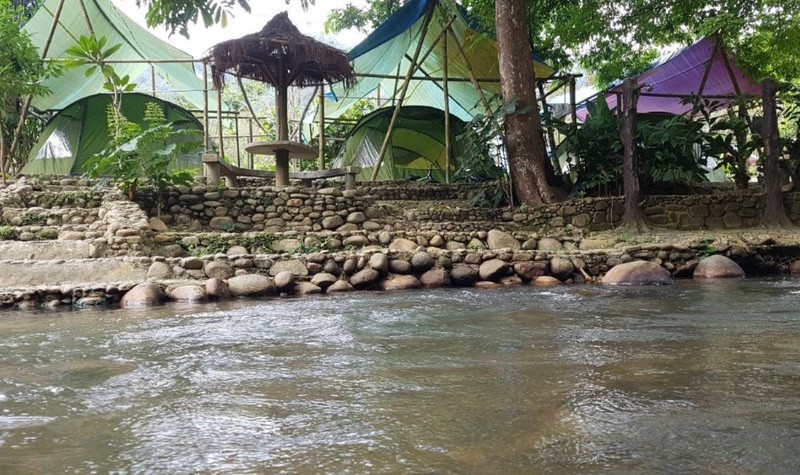 Some of the tendoks are super private and are located right by a creek for you to dip your feet in and relax. To add to the coziness, home-cooked food is also provided! Rates start from: RM206 per person. 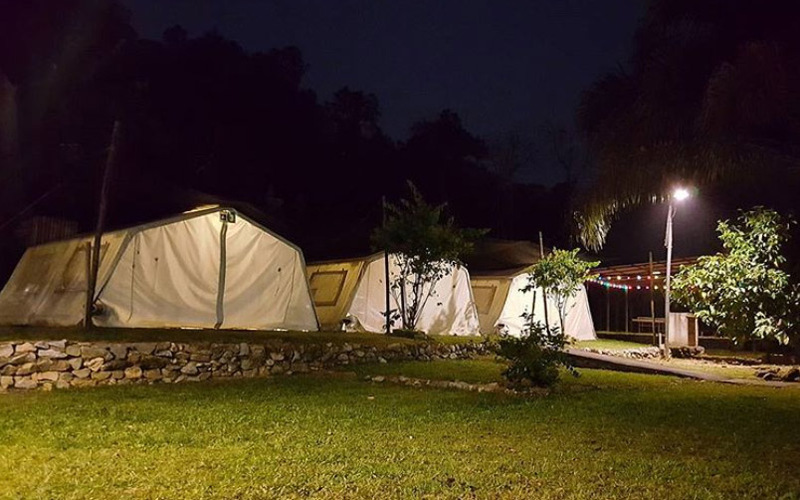 Located only 45 minutes away from Kuala Lumpur at the foothill of Genting Highlands, this glamping retreat is spread out over eight acres of land. 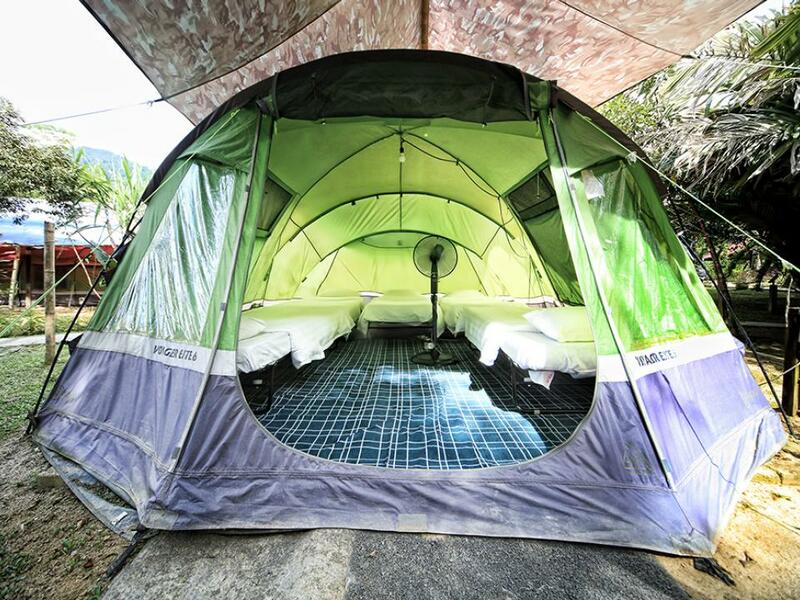 Enjoy a unique stay in deluxe bell* or air tents while dining over an eight-course barbecue buffet and English breakfast in Janda Baik. 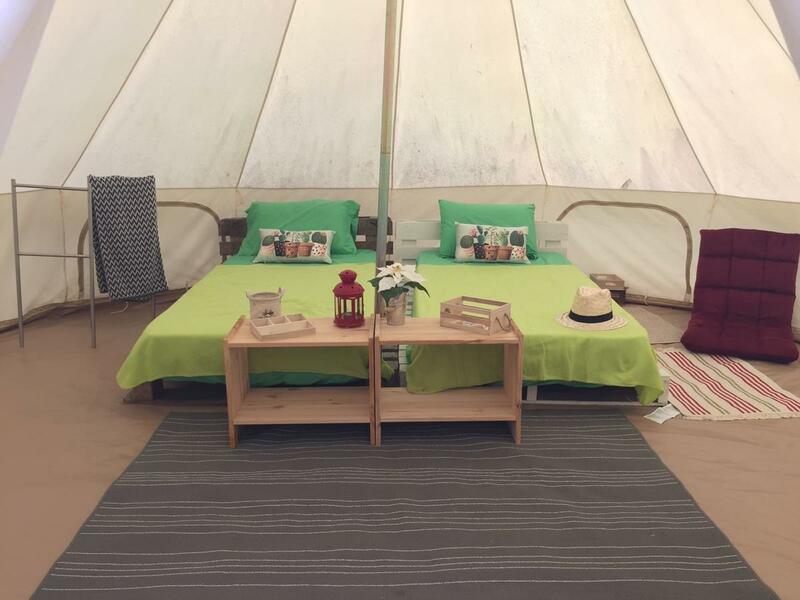 *Bell tents are cone-shaped and similar-looking to those found at the circus! 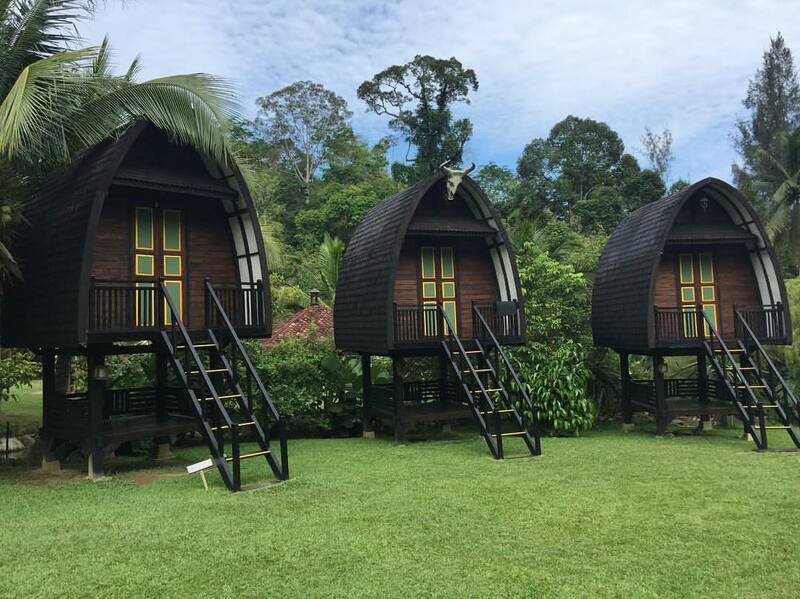 Escape the hustle and bustle of city life at this glamping resort located 2.5 hours away from Kuala Lumpur. 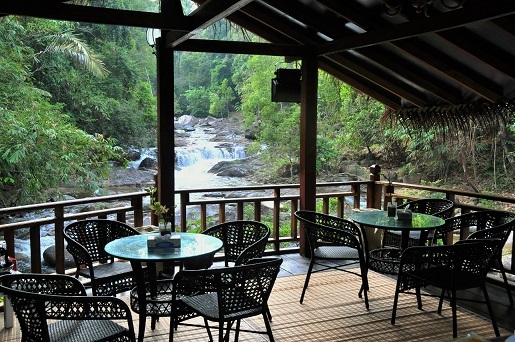 Relax by the waterfall with a cup of tea and book, or if you're feeling a little adventurous, guided jungle trekking is also available. Room rates start from: RM240 per person. 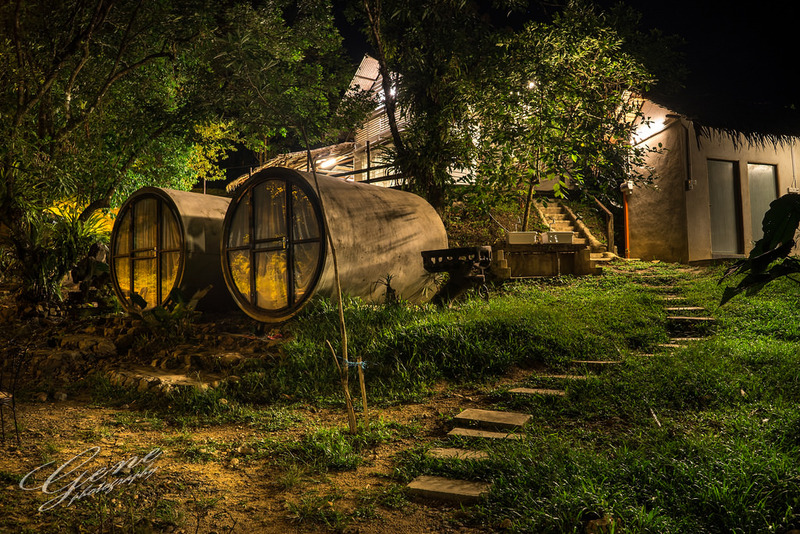 Take a weekend away with your loved ones at this unconventional spot surrounded by nature. 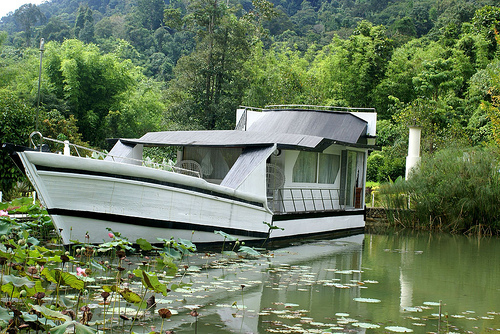 Popular for its exclusivity, the Sekeping Serendah sheds are perfect to unwind and relax away from distractions. 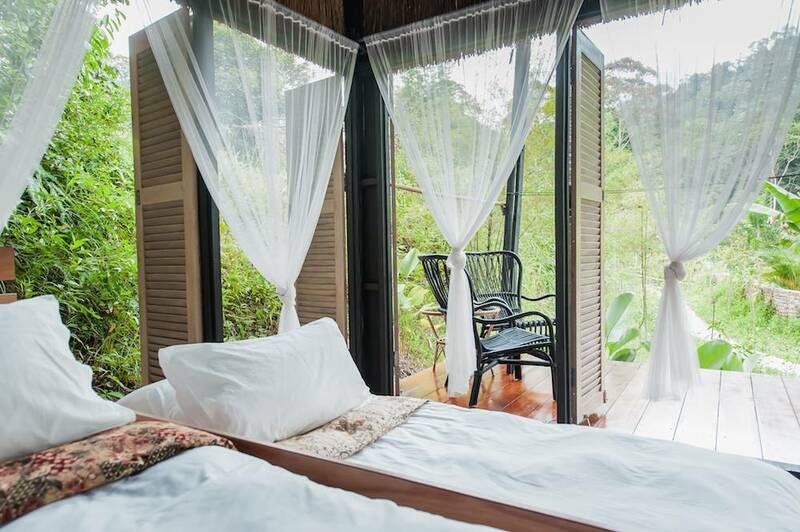 Less than an hour's drive from Kuala Lumpur, this glamping site is nestled among the Titiwangsa mountains in Janda Baik. The cool, crisp air is perfect for those wanting a quick getaway that doesn't require long travel time. 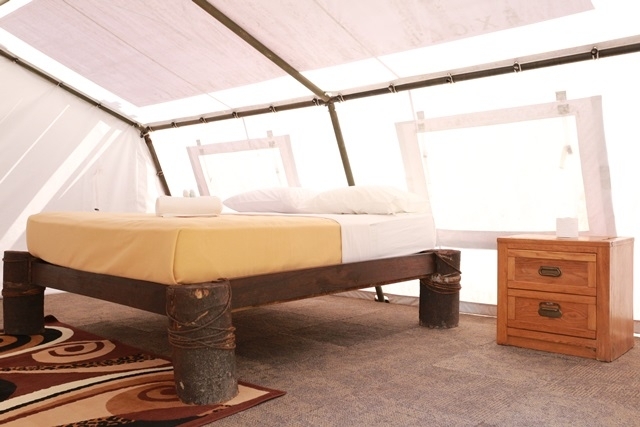 You can sleep in a spacious tent set up by the stream or experience a night on their cool house boat. 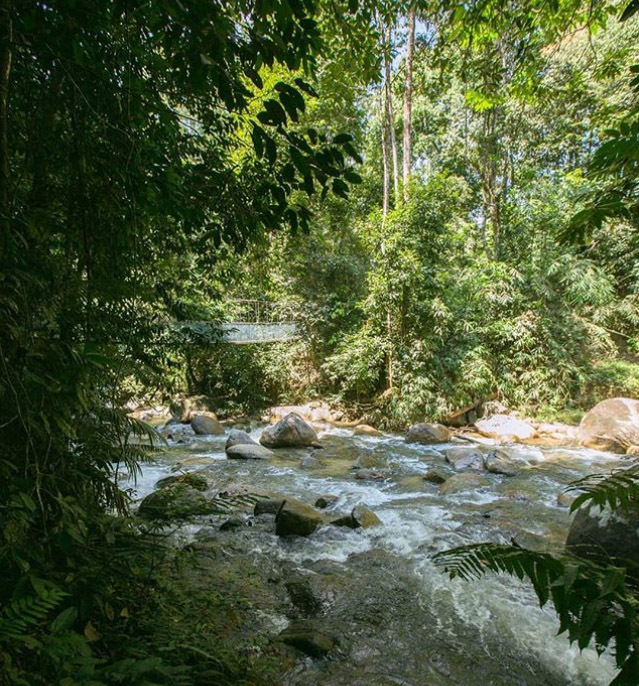 Guests can also enjoy activities such as jungle trekking, fishing, and cycling. Address: Lot 8592, Lorong Dato Panglima, Kg. Sg. Lurau, Janda Baik, 28750 Bentong, Pahang. Room rates start from: RM95 per person. 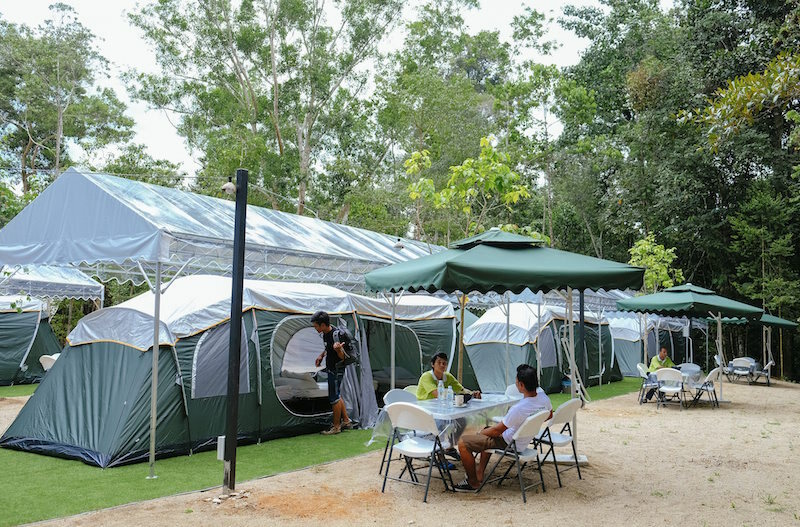 Whether it's a company retreat, special occasion, or family trip, Caravan Serai caters to all. Some of the facilities include an outdoor pool, karaoke, and bicycle rentals. 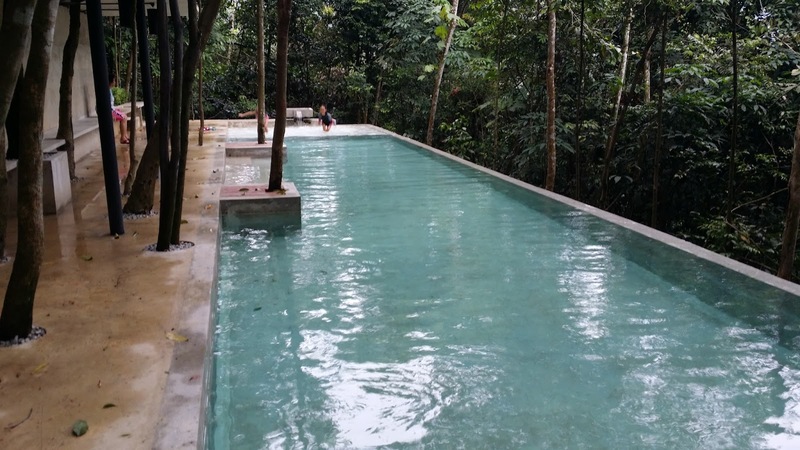 Fully immerse yourself in nature by going for a dip in the outdoor pool or stream nearby. Reviewers recommend to not skip the nature walks in the morning! 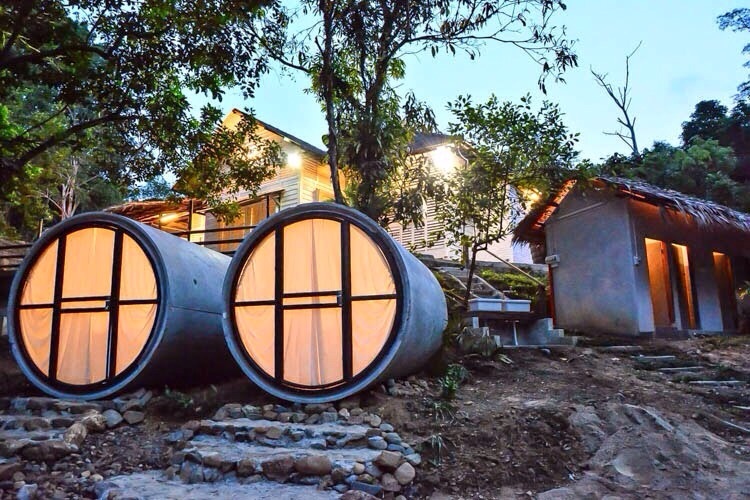 Lose track of time in these unique capsules located in the tiny town of Sungai Lembing, Kuantan. Food stalls are easily accessible as the town is a mere two minute drive away from the site. We highly recommend taking the Rainbow waterfall tour while you're here. 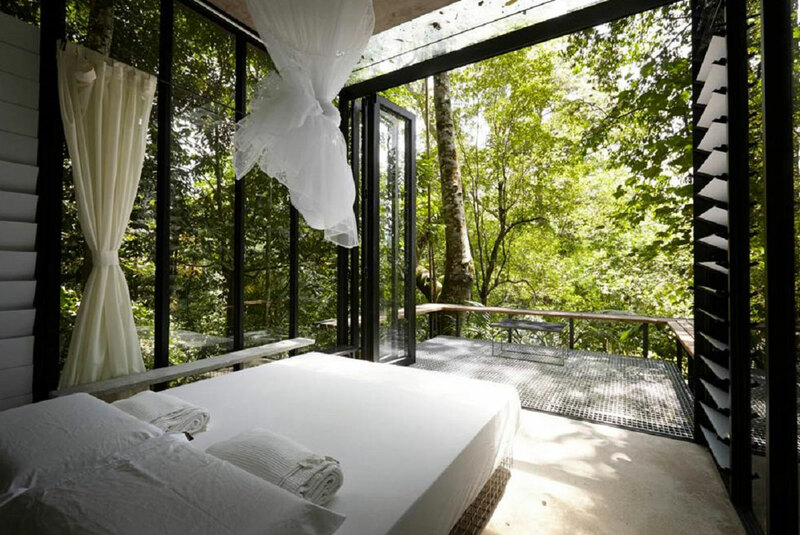 It's definitely worth it, especially for nature-lovers! 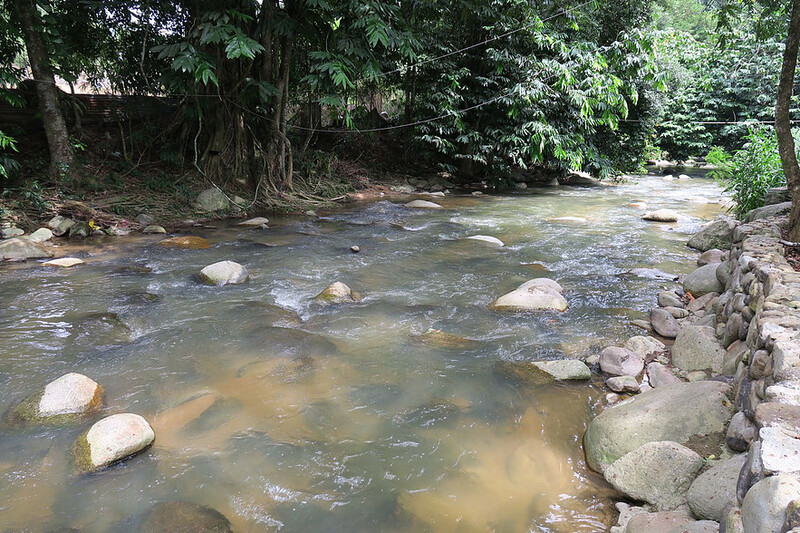 Address: EB4 Belakang Sek Men, 26200 Sungai Lembing, Pahang. Owned by the same family who run the Time Capsule Retreat, the Parallel Aurora cabins are perfect for those who appreciate their privacy. 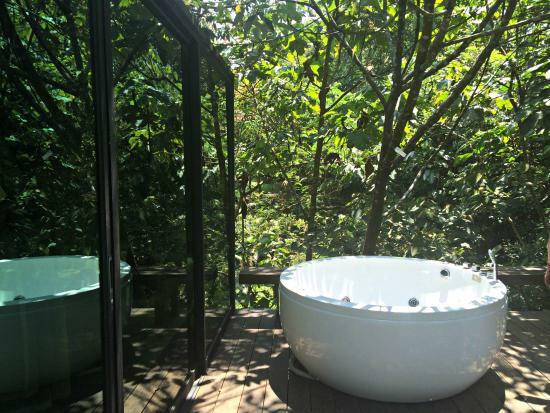 The cabins come with full glass windows that allow you to enjoy a spectacular forest view. 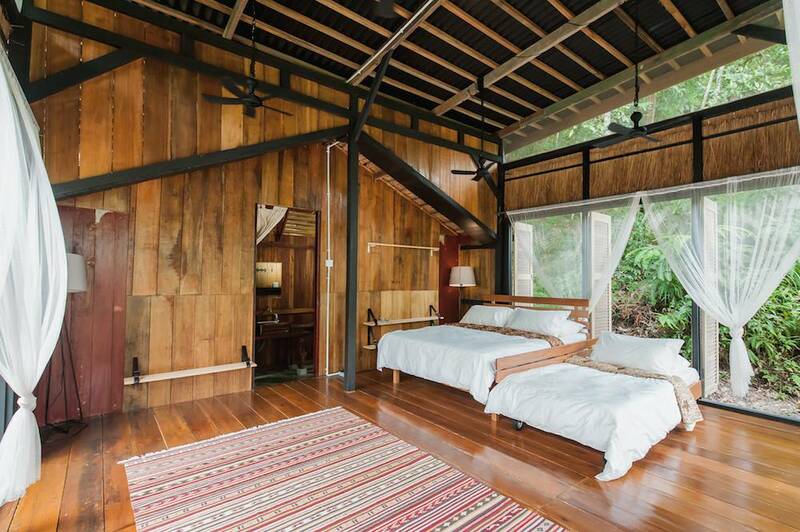 Surprise your partner with a weekend getaway at one of these cabins! 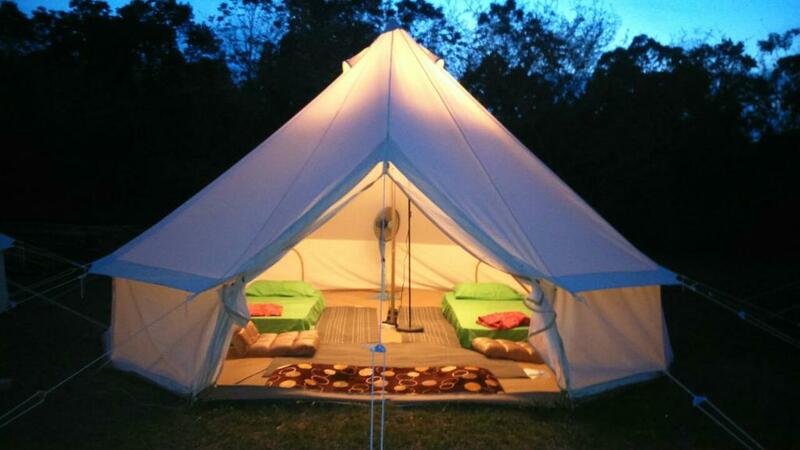 Recharge and enjoy the cool air at this glamping spot, where temperatures rarely go above 28 degrees! 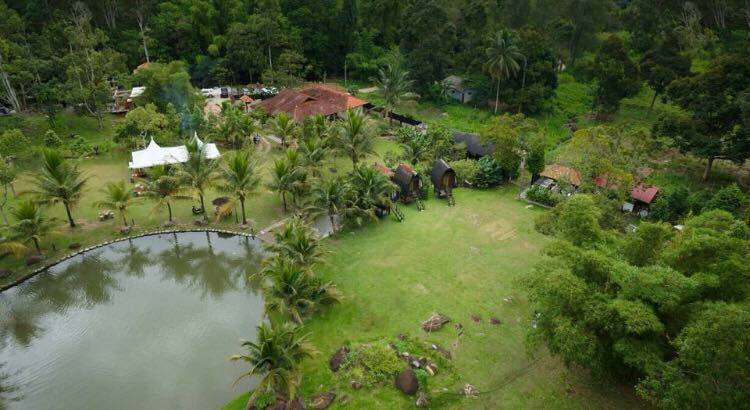 Sprawled over five acres of land, this retreat has a variety of tents and chalets to choose from. What are you waiting for? Hurry and make a booking! 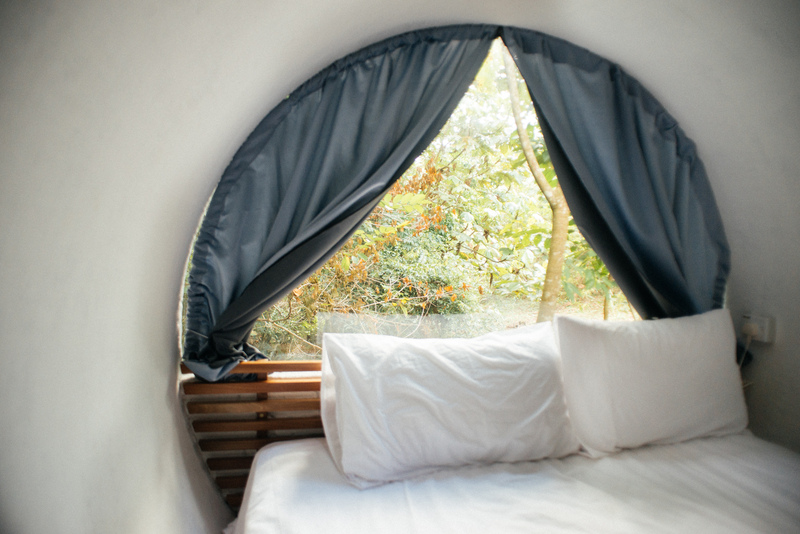 Perfect for those little weekend getaways! Say konichiwa to cheaper stays and more yays!